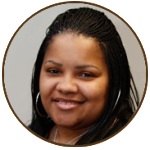 Tanya Wilson works for Great Lakes Home Care & Hospices and has volunteered with Deacon Conference of Kalamazoo Michigan for the last several years. She is also an active member of Mt. Zion Baptist Church where she enjoys helping with the youth of the community. Tanya has a passion for working with the youth and being a positive role model to lead them in making healthy and responsible choices. Tanya was also the president for the Kalamazoo Central Parent Booster Club in 2010-2011 where she helped fundraiser and organize events for the participating youth. In addition to being a devote wife and mother she is a true community youth and family advocate. She can always be found encouraging and motivating others to be their best. Tanya hopes that Charlie’s P.L.A.C.E will be the catalyst to help bring the community together, restoring relationships and events to engage the community. Live simply, love seriously, care deeply, speak kindly leave the rest to God!